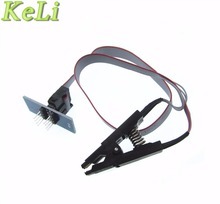 This clip is for SOP8 chip, such as serial memories like 25C, 24C , 93C and so on. It can be used as sop8-to-dip8 adapter. You can load serial memories in place.